cherryfish is your platform to source, assess and manage your external workforce and its projects. cherryfish offers access to the best professionals through many different headhunters and platforms. 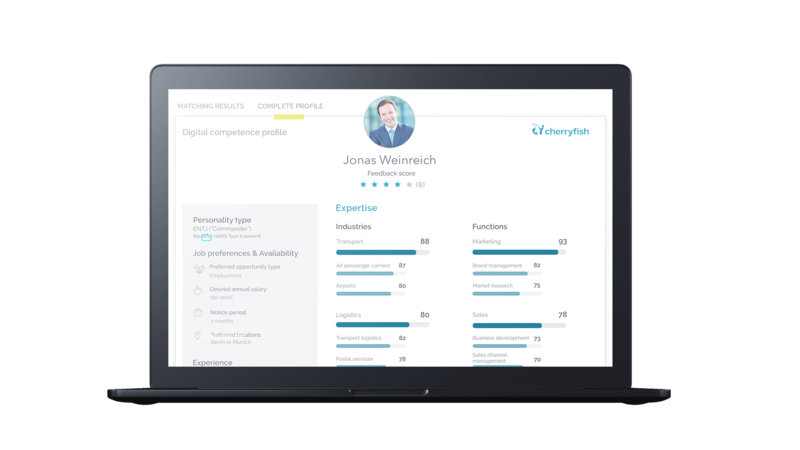 Sourcing teams can easily find the candidate they are looking for, compare them based on cherryfish assessment and make educated decisions.